Overarching Process: Hiring into a Zero Dollar, Back-up, or Lump Sum Payment Appointments. This knowledge base (KB) document provides instructions to complete zero dollar, back–up appointment or lump sum payment hiring transactions in JEMS HIRE. 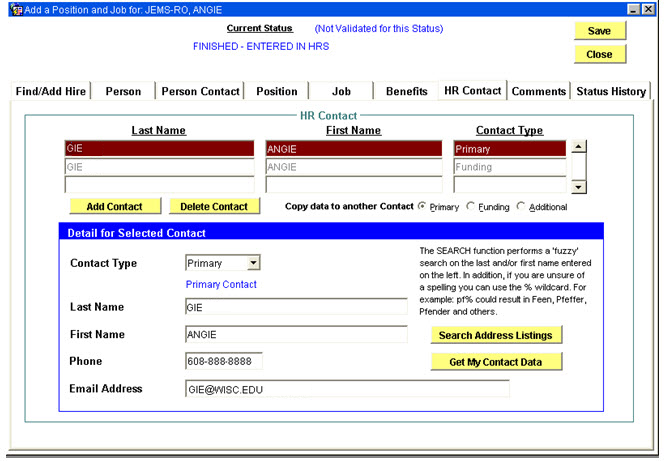 It is recommended to review KB 38920, UWMSN - JEMS HIRE - Introduction to the system, prior to reviewing this KB document. From the Main Menu screen the following functions are available. If the button is 'grayed' out it is not navigable (access is based on security role). Click the My New Hire Basket button to see transactions requiring review and processing. The first screen that will appear is the Find/Add Hire Tab. Use the steps below to complete this tab. Foreign National If person is a foreign national, review their visa page in HRS (KB 16745). If row(s) contain actual or dummy FNL visa types, do not change the default Foreign National checkbox setting in JEMS. 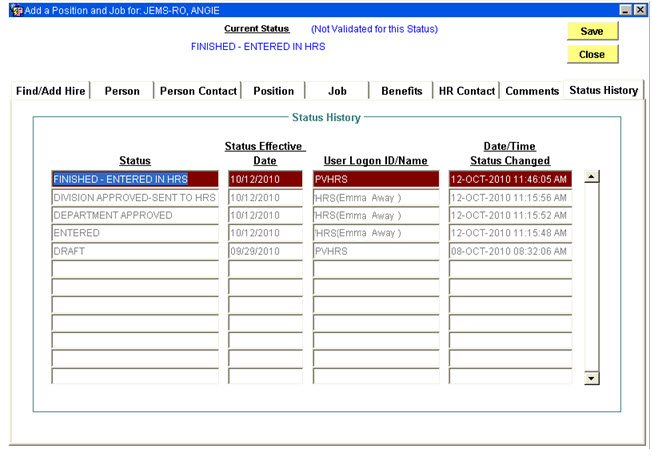 However, if there is NO actual or dummy visa type in HRS, check “Foreign National” box during JEMS hire. 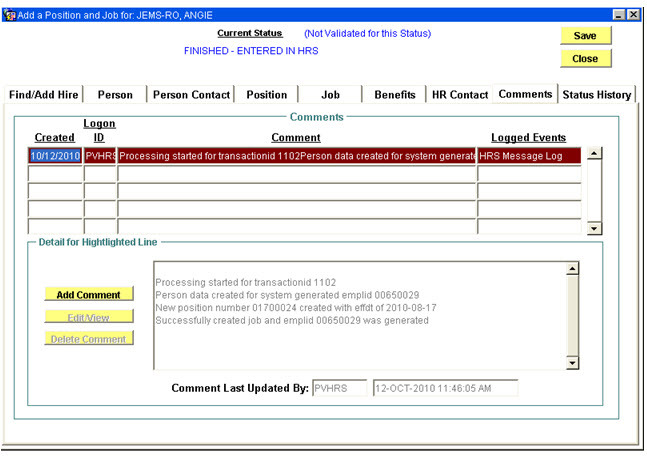 This will populate the HRS visa screen and prompt the creation of a Glacier account. Foreign nationals on UW payroll must have a Glacier account and enter their immigration information into it so the UW can determine the correct amount and type of tax to withhold. Add both Home and Office address and then click the Save/Close button. 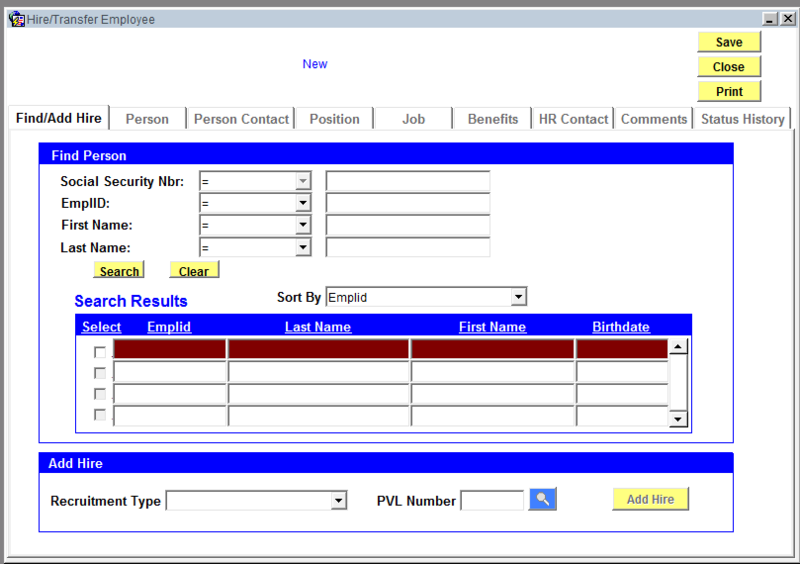 Empl Class* Select the appropriate employment type from the drop down. See HRS KB 15813 for more information regarding Empl. Class. Selection is required when hire type is transfer.